9.13.18 The Last Doll Lady is coming to New York! The film is an official selection of the Cutting Room International Short Film Festival (CRISFF). The festival takes place in October, in Manhattan. More info coming soon! 8.20.18 We just got word that The Last Doll Lady has been accepted to the Rendezvous Film Festival. This festival looks really cool, and takes place in September in florida. More info coming soon! 6.25.18 We just found out that The Last Doll Lady has been selected for the Lionshead Film Festival! The festival takes place in Dallas, Texas, on August 10th and 11th. More info coming soon, we are very excited! 6.13.18 Wow! The Last Doll Lady is an official selection of the Low to No Film Festival! The festival takes place in Las Vegas, during the month of August, more info coming soon! 6.1.18 We are so excited to announce our latest short film, Old Mrs. Jenkins. The horror short is being directed by Thomas Norman and Taryn Hough, and is currently in post production. Click here for more info and some killer screen captures from our shoots. 5.28.18 AHHH! We just found out that The Last Doll Lady is an official selection of the FLY Film Festival! How cool is that!? The festival takes place in Oklahoma, August 9-11. More info coming soon! 5.23.18 We are very happy to say that The Last Doll Lady was accepted to the Hollywood Dreams Film Festival! The fest takes place in Las Vegas, in August. More info coming soon! 5.1.18 WOW! We just found out that The Last Doll Lady won an award from the Bare Bones Film Festival (Best Short Documentary) AND the Silicon Beach Film Festival (Best Inspirational Short Documentary)! We are stunned and honored. Click here to learn more about our award wins and see some pics of the awesome awards! 2.21.18 We have the screening time for The Last Doll Lady at the Bare Bones Film Festival! The short will screen on Saturday, April 28th at the 3 Rivers Museum venue, during the 11am block. Ticket info coming soon! "With Intelligence and sensitivity, Hough has crafted her best film yet with The Last Doll Lady, a wonderful little doc short that will leave you smiling and grateful and, yes, even a little more aware". 6.27.17 We are thrilled to say that The Last Doll Lady has been accepted to the Shortz! Film Festival! The festival takes place July 15-16 in Chico, Ca. The Last Doll Lady is screening on Saturday July 15th during Block 3 (3pm) at the Chico Theater Company. This looks like a really cool festival and everyone who runs it has been so nice! Check back soon for pictures from the festival! 6.7.17 The Last Doll Lady had a private screening for cast and crew today, and it could not have gone better! This was the first time the short documentary was screened for a room full of people and the reception was wonderful. Thank you to everyone who was able to make it out for the screening, we really appreciate it. If you would like to see photos from the event, click here. 5.12.17 Click Here to see the poster for The Last Doll Lady, we love it! Great work Cherrie Hamilton! 4.20.17 So many exciting things are happening with our latest project, the documentary, "The Last Doll Lady"! We are in the home strech of post production and are looking at a compleion date of May 2017. We're shooting stills for the poster in a few weeks and we updated the films page on the monkey site with the films synopsis and bunch of other boring things. 7.4.16 Wow, wow, wow! Selma and myself were interviewed by The OC Register about the dolls program and about the documentary. The article ran on the front page of the paper over 4th of July weekend! Click here to read the article online, and make sure to check out the Dolls page on here to see a picture of the newspaper. 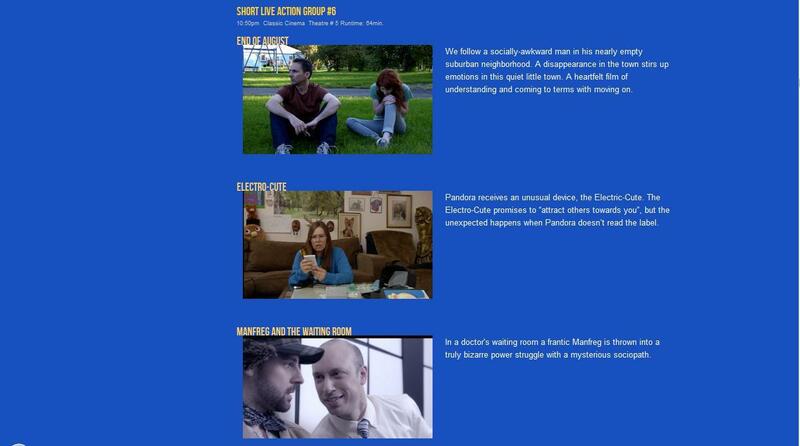 4.10.14 As most of you know, the Monkey won 3 awards at the wonderful Miscon film festival, for our short film, "Electro-Cute!". We recently received the laurels from the festival, and they are easily the best laurels we have ever seen! Hop on over to the EC! page and check them out. "Electro-Cute!, a zany short from Chain Smoking Monkey Productions, is a highly imaginative, high concept skit"
"The short plays out like one of the later series of "The Twilight Zone"
"There has been a deliberate attempt not to give away any spoilers or even hints of the action, because the fun will be in the surprise, and to catch the action without warning"
"this reviewer did what he has never done - watched the commentary AND the "Making of" accompanying features. In most cases, these features are an exercise in self-indulgent tedium, but in this rare instance, the commentary gave some interesting insight on some of the zaniness of the short, and the "Making of" feature was interactive! There is actually drinking game during the feature!" "ELECTRO-CUTE! is an experience into a mind unfettered by normal conventions. It is a tale of experimentation, scientifically-induced hallucinations, and tasers." "This reviewer is calling this a very strong "BUY," because, like the AIRPLANE films or "Police Squad" shows, this film demands multiple viewing, with a strong suggestion to watch not only the feature itself, but also the accompanying features. It is currently doing the festival circuit"
9.16.13 I am very excited to say that Electro-Cute! 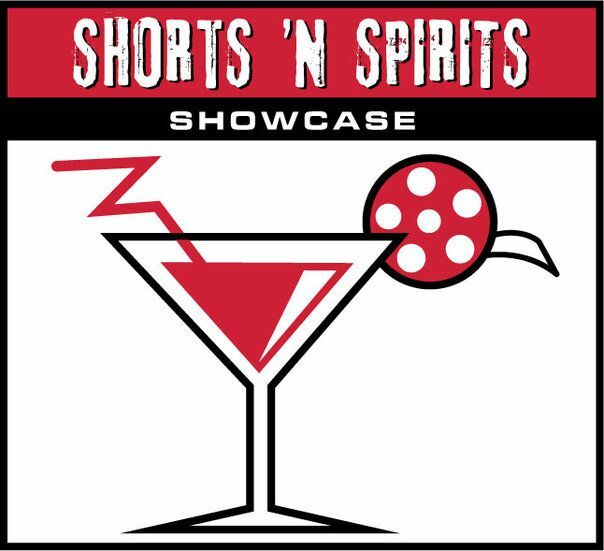 will be screening at the Shorts n Spirits Showcase in Burbank, CA. The showcase takes place on Oct. 16th at 7pm, at 546 S. San Fernando Blvd., Burbank, CA. More info coming soon! 7.25.13 We just found out that Electro-Cute! is going to be screened during the "Best of the Fest". The Media Film Festival holds a screening of their favorite shorts that appeared in the festival that year, and EC! made the cut! We're thrilled to be apart of this and are honored that we were chosen. The screening takes place at 7:30p on August 15th, at 414 Plush Mill Road, Wallington, PA. Hope to see you there! 5.31.13 WOW! We just got back from Miscon a few days ago and we had a wonderful time! Electro-Cute! was very well received and screened 3 times at the festival. We received a ton of laughter during each screening and really couldn't have asked for a better response. We were very humbled and grateful to find out that EC! won 3 awards at the festival too: Best Fantasy Short Film, Audience Favorite and Best Overall Short Film. We're so excited for future trips to Miscon! As usual, check out the EC! page for pics from the festival. BONUS! Check out this very cool comic about Miscon made by LarsenGeekery. 5.23.13 Don't forget, Electro-Cute! has 2 screenings coming up. One is in Missoula, MT this weekend at Miscon, and the other is at the Macabre Faire Film Festival in NY next weekend. The short is screening twice at each festival, so you have multiple chances to see the film. 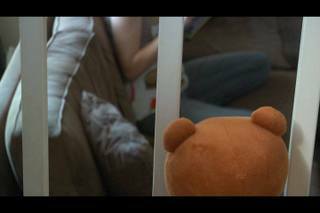 3.5.13 The Media Film Festival has announced the screening time for Electro-Cute!. The short will screen on Saturday, April 6th during the 7pm block. The festival takes place at The Community Center, located at 3rd and Monroe St. in Media, PA. I am so looking forward to this festival! 3.4.13 Bare Bones Film Festival has announced their screening schedule. Electro-Cute! will screen on Saturday, April 6th at 1pm. The screening takes place at the Roxy Theatre Balcony, located at 220 W Okmulgee, Muskogee, OK. The short was also nominated for "Best Animation"! I hope to see you there! 2.26.13 I am so happy to say that Electro-Cute! was accepted to the Macabre Faire Film Festival. The festival takes place May 31st-June 2nd in Long Island, NY. This is the first time the monkey has screened at this festival, we are really excited and looking forward to it. Specific screening date and time coming soon. 2.18.13 I am very happy to say that Electro-Cute! was accepted to the Bare Bones Film Festival. This is the monkeys first time attending Bare Bones and we couldn't be more excited! The festival takes place in Muskogee, OK, April 4th-14th. Specific screening date and time of EC! coming soon. 11.4.12 I am very happy to say that Electro-Cute! was accepted to the Riverside Saginaw Film Festival. The festival takes place Nov. 8th-11th in Saginaw, MI. Electro-Cute! screens on Saturday Nov.10th at 3pm (in short block 2) at the Saginaw Club. 9.30.12 I am so happy to announce that Electro-Cute! was accepted to the Fargo Fantastic Film Festival. The festival takes place Oct. 19th-21st in Fargo, ND. In general, this is a really cool festival because it's also a Sci Fi, Fantasy, and Horror convention, make sure to check it out if you can! More info about the EC! screening coming soon. 9.29.12 It has been a busy couple of days, hasn't it? We just found out that a short film we made called, "Night Terrors", is being included in the line up for the Friday Fright Fest. How awesome is that!? The festival takes place on Oct.26th at the Delaware County Institute of Science at 7:30. 9.10.12 I am thrilled to announce that Electro-Cute! was accepted to the Terror Film Festival! I always have an awesome time at this festival and the people who run it are super nice, I hope to see you all there. The festival takes place in Philadelphia and EC! screens on Saturday, October 20th, at 3pm. Make sure to check out the EC! page on here to learn more. 8.27.12 Well, the Electro-Cute! tour has ended. It was amazing watching the short 3 times, in 3 different states at 3 different festivals. We want to send a big thank you to The Columbia Gorge International Film Festival, The Indie Gathering, and The Action on Film Festival for making our trip so memorable. We saw a lot of great films, met some other film makers and won some awards. Make sure to check out pictures from each festival, here. 8.25.12 Electro-Cute! won the award at AOF for Runner up for Best Experimental Project! How awesome is that!? 8.5.12 I am very happy to announce that Electro-Cute! was accepted to The Jersey Gore Film Festival. The festival takes place at the Darress Theatre in New Jersey and screens movies that fall into the Horror or Sci Fi genre. The festival takes place on Saturday, Nov. 3rd, more info coming soon! 7.5.12 The screening time for Electro-Cute! at The Indie Gathering is in. EC! will screen on Saturday August 18th, at 4:20 in screening room B. The festival takes place in Ohio, click here for more details. Photos from the festival coming soon! 7.1.12 I am so excited to announce that EC! was accepted to The International Indie Gathering Film Festival. The festival takes place in Ohio, August 17-19. And guess what? Electro-Cute! won an award! We won the award for Best Comedy for a short film. I'll be attending the festival, I hope to see you all there! 5.8.12 Check out the DVD cover for Electro-Cute! 5.4.12 Check out Blake Hogue, one of the actors in Electro-Cute!, in a series of commercials for Red Robin that are airing now. Blake plays one of "The Tripps". 5.1.12 Unit 30 really is the little engine that could! I received a wonderful email the other day letting me know that U30 will screen at the Horror Hotel film festival! How cool is that!? The festival takes place May 19th in Ohio, U30 screens at 8:30pm. Make sure to get your tickets ASAP, I see this selling out! 9.20.11 I'm happy to announce the addition of Bill Rogers and Michele Knotz to the Electro-Cute! family. We are thrilled to have them onboard and are excited to hear what a calculator, milk carton and instructional booklet, among other things, sounds like! 2.11.11 It's been a while since our last update hasn't it? Well, that's life. To make up for it though, here are the bloopers from the fake taser commercial that appears in our latest short film "Electro-Cute!" 11.10.10 check out the new Unit 30 DVD cover here, now with more stuff! 11.8.10 Check out this video from the Terror Film Festival. I was interviewed and asked questions about Unit 30 and horror movies in general. Who knew I was such an animated talker!?! 10.7.10 Unit 30 screened at the GIAA Film Festival in New York this past weekend and Eric Pirooz (the real estate agent from Unit 30) was lucky enough to attend the festival. He had an amazing time and we can't thank the kind people at the GIAA Film Festival enough for putting on such a wonderful event. Click here to see photos from the screening. 10.01.10 Unit 30 was accepted to the Fargo Fantastic Film Festival! The festival takes place Oct.15-17 in Fargo ND and is part of Valleycon and the Fargo Entertainment Expo. Screening time coming soon. 9.20.10 Check out the awesome Unit 30 lobby cards that are making their rounds at festvials here! 9.12.10 Unit 30 was accepted to the Terror Film Festival. The festival takes place in Philadelphia, PA Oct.21-23. More info coming soon! 8.13.10 Unit 30 screened at The Indie Gathering Film festival in Cleveland, OH last week. We had an amazing time and can't thank the IG Team enough for putting on such a wonderful festival. Bonus? Unit 30 won 2 awards at the festival! "Best Horror-Comedy for a short film" and "Best overall short film"! Check out the Unit 30 project page to see some photos that were taken at the festival. 7.29.10 Unit 30 screened last night at AOF and we had a GREAT time! We really can't thank Del, Josh and the whole AOF team enough. Make sure to check out the Unit 30 project page to see some photos we took that night,- the poster for Unit 30 made the cover of the AOF Program!